Innovation is a central theme for many of the stories in the current issue of Trout magazine. 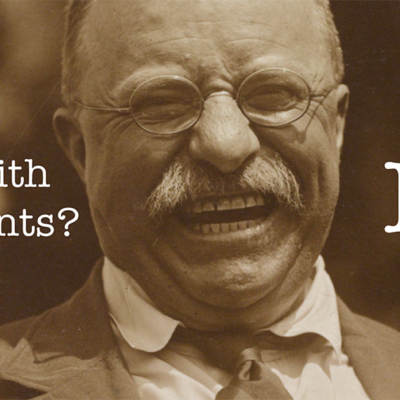 We’re expanding on that share at TU.org news of innovative work from TU and our many partners. 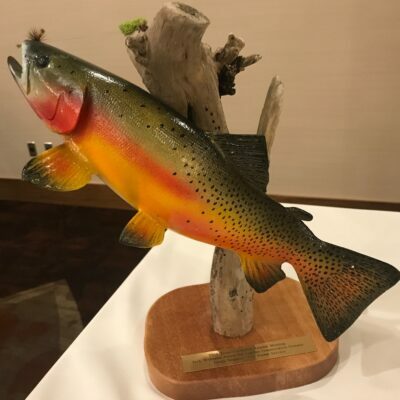 TU’s Keith Curley recently connected with USGS scientist Than Hitt for a fascinating Q&A session on Hitt’s important brook trout research. Now it’s Hitt’s colleague Dave Kazyak’s turn for a conversation with Curley, TU’s VP for eastern conservation. Kazyak, who holds a PhD from the University in Maryland, is a research ecologist at the USGS Leetown Science Center where he co-directs the Conservation Genetics and Genomics Laboratory. 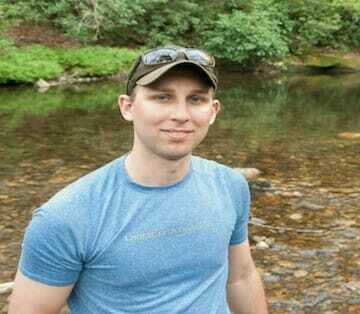 His research applies quantitative approaches in conservation genetics and population dynamics to provide decision-relevant information for imperiled species. Kazyak’s current projects use cutting-edge genetics tools to identify biologically-appropriate management units, measure rates of gene flow, and characterize how isolation, genetic drift, and hatchery supplementation impact wild populations. He also is working to develop novel approaches to census imperiled fishes and using stochastic simulation models to understand how environmental change may influence population dynamics. 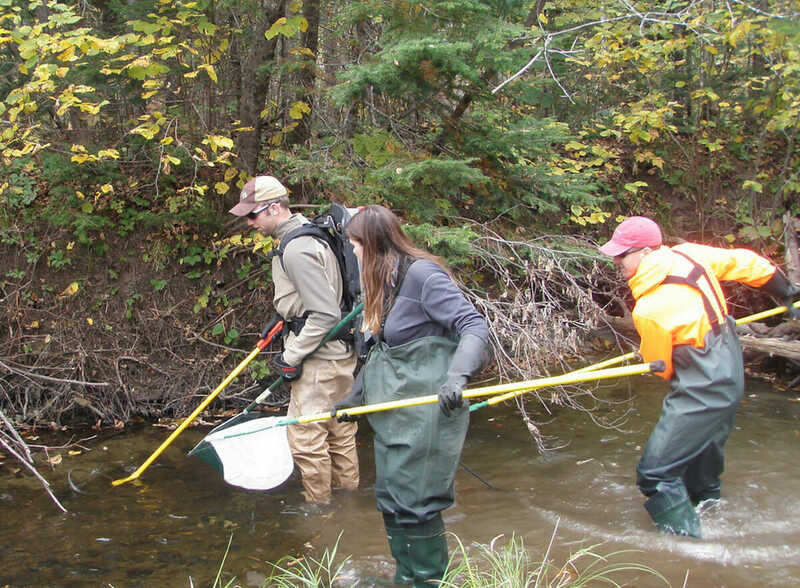 This is the kind of work that will help inform critical management approaches for brook trout in the coming decades. Describe the work you’re doing on brook trout genetics. The Conservation Genetics and Genomics Laboratory at the USGS Leetown Science Center has been working with brook trout for about 15 years, partnering closely with state and federal agencies from Maine to Georgia. 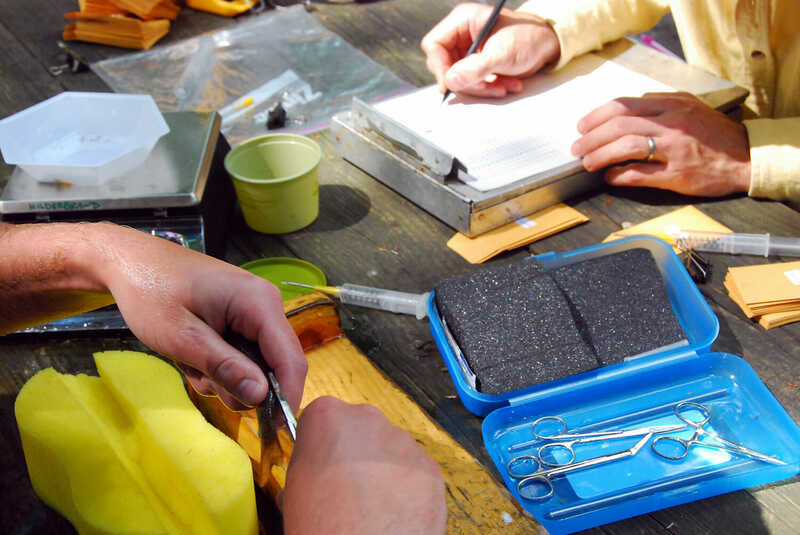 Our partners collect nonlethal fin clips (photo below), and we extract DNA from these samples. We use a panel of 13 microsatellite markers to examine patterns of biodiversity, gene flow, and population structure across the landscape to support conservation and management activities. Our overarching goals are to help define biologically-appropriate management units, identify at-risk populations and genetic strongholds, examine patterns of connectivity and the impacts of isolation and drift on population resilience, and to support restoration and reintroduction activities. What are some of the more interesting things you’ve learned by studying brook trout genetics? We have found that almost all brook trout populations in the eastern U.S. have a unique genetic signature. In the Southeast, almost all populations are isolated from one another, with essentially no gene flow. This means that each population is on an independent evolutionary trajectory, and must face current and future challenges with the genetic diversity on hand. In some cases, populations in adjacent streams are as different from one another as populations hundreds of miles apart. A large portion of the genetic variation we observe occurs at a very fine scale. Our laboratory has run over 22,000 samples from over 800 streams to date, and we can assign about 94% of these individuals to the correct patch of occupied habitat just from their genetics. We recently completed a study focused on characterizing the extent of introgression between native and hatchery lineages across 400 wild populations in North Carolina. We were surprised to find that most populations showed little signs of hatchery introgression, despite stocking millions of hatchery brook trout across the state over the last century. What are some of the main differences you see between brook trout in the Southern Appalachians and other parts of their eastern range? One of the major projects in our laboratory right now involves synthesizing population genetic data across their native range, with a special focus on populations in the Southern Appalachians. One of the things we are examining is how genetically distinct these fish are from brook trout that are native to more northern locales. We are not finished with the study yet, but I will say that brook trout in the southern Appalachians are unique in several ways. First, these populations tend to be small and typically exist in high elevation, headwater streams with little to no opportunity for connectivity among populations. Many populations have very low effective population sizes and low allelic diversity — classic indications of isolation and genetic drift — which raises interesting questions on how to best conserve these populations. Populations in the Southern Appalachians do have unique genetic characteristics, but we also see unique local and regional characteristics elsewhere in the range. Stay tuned for more on this subject in the coming months! TU and others are doing a lot of work to improve habitat connectivity. What are the genetic implications of habitat fragmentation, and how are those alleviated by improving habitat connectivity? Habitat fragmentation is a major concern for brook trout. 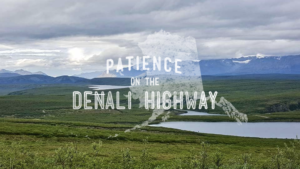 A variety of factors, including non-native trout, landscape alteration, passage barriers, and changing patterns of temperature and precipitation are thought to have isolated formerly interconnected habitats. 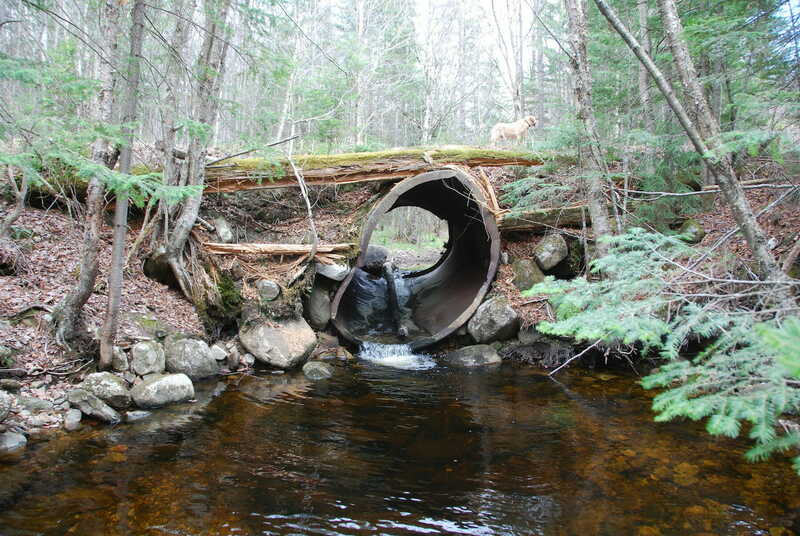 Perched culverts are a prime cause of habitat fragmentation for brook trout. Many of our isolated populations are very small, and prone to rapid loss of genetic diversity through genetic drift. 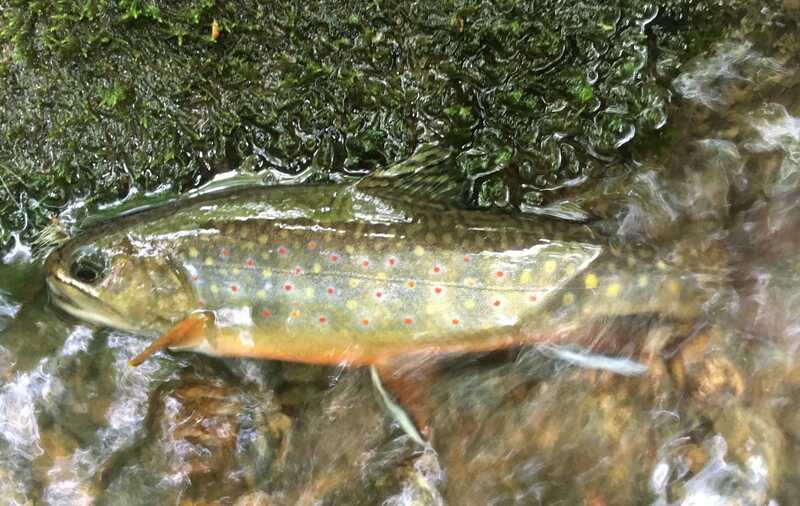 Improved habitat connectivity may increase the size of populations and increase gene flow, both of which can make a big difference in maintaining genetic diversity and improve the outlook for wild brook trout populations. Beyond genetic considerations, connectivity also helps brook trout recolonize areas where they have been extirpated, and allows brook trout to access larger mainstem habitats that can be important for growth. TU recently worked with the Virginia Department of Game and Inland Fisheries and the U.S. Forest Service to restore habitat and reintroduce brook trout in upper Passage Creek in Virginia. We are collaborating with the New Jersey Department of Environmental Protection on New Jersey’s first brook trout reintroductions. How does new information on brook trout genetics factor into how we do reintroductions? Our genetic baseline offers some really exciting opportunities to help managers select appropriate source populations for reintroductions. 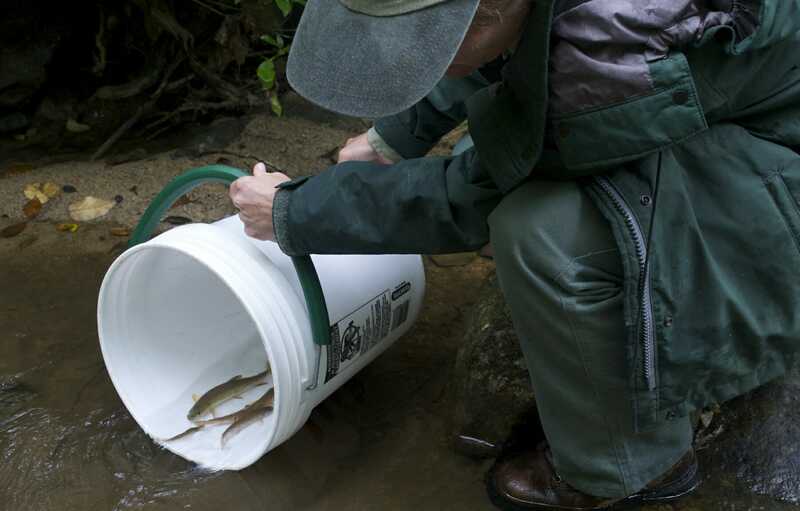 Dawn Kirk, fisheries biologist for the George Washington and Jefferson National Forest, releases transplanted native brook trout into a restored section of Passage Creek in Virginia’s Blue Ridge Mountains in 2017. Most managers are seeking to restore native lineages that have adapted to local environments. We frequently help to identify populations that have suitable evolutionary histories and levels of genetic diversity to maximize the chances of a successful restoration. 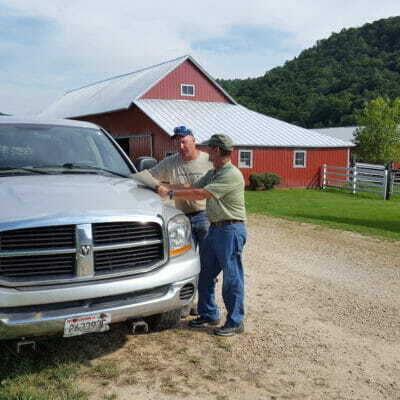 Our partners are typically looking for source populations that are not introgressed with hatchery lineages. The prevailing thought is that hatchery-strain brook trout are not likely to be adapted to local conditions and generally fail to establish self-sustaining, wild populations. How have advances in technology influenced your work on brook trout genetics? The molecular field is changing very rapidly, as new technologies and methods allow unprecedented insight to how DNA shapes the biology of wild trout, and how genetic variation is structured within and among populations. The advent of next-generation sequencing has opened new research avenues in genomics. For example, we have a pilot study examining the genes brook trout use to respond to thermal stress. Using this baseline information, we hope to screen wild populations in an attempt to identify populations that may be more resilient to warming conditions. We are also participating in a collaborative effort to develop population genomic tools for brook trout. This effort is expected to produce a much larger suite of markers that we can use to study brook trout, offering improved insight and also telling us about traits that are under natural selection. Environmental DNA is a new tool that has exploded in popularity in the last few years, and can be a cost-effective way to survey brook trout occupancy. All of these recent advances allow us to generate new data at a rate that was unthinkable a few years ago. One of the grand challenges in our field in the coming years is to develop efficient ways to analyze and interpret this wealth of new information. Where do you see this work going in the future? We are excited to continue building on our body of brook trout work in the future to help address key management questions. Moving forward, we want to partner with managers to evaluate the effectiveness of different restoration strategies, working to understand what approaches are most effective. We also want to better understand patterns of local adaptation, and how these local adaptations may affect the ability of populations to persist in a changing environment. Finally, we want to continue to integrate our genetics perspectives with other aspects of fisheries research, helping to further understand and conserve native trout.